Annual School Fair at Upper Noe Valley Rec Center! The fair is Sunday, September 23rd from 11:00 to 2:30pm at the Upper Noe Recreation Center located at 295 Day Street. Free and open to the public. This event is becoming a big part of the Fall School Touring Kick-off! Are you going? Be sure to let us know what you thought of the event! Meet parents and representatives from private, parochial, and public schools in Bernal Heights, Glen Park, Noe Valley, Potrero Hill, the Mission, the Market Street Corridor, and the 280 Corridor at the Friends of Noe Valley Elementary School Fair. Parents for Public Schools will hold to free workshops on the SFUSD lottery and enrollment process. The workshops will focus on transitional kindergarten and kindergarten for the 2013/2014 school year. Parents for Public Schools will also have a informational table at the fair. 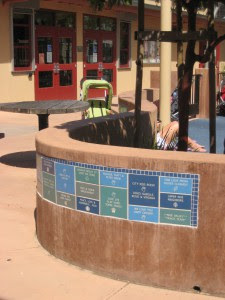 The recreation center is accessible by the J-Church and Divisadero 24. We recommend taking public transit as parking is limited.